Berlin became the capital of Germany in 1871. On 21st April 1945 Berlin was entered by the Red Army and by the end of the month the Soviets controlled the whole city. In accordance with the agreement reached at Yalta the three western allies (United States, Britain and France) were given zones of occupation in the city. They were also allowed access along specific corridors to West Germany. Joseph Stalin was determined to make Germany pay for the damage inflicted on the Soviet Union. After the war he took reparations from East Germany and East Berlin. The main concern of the United States was to ensure that West Germany did not become a communist state. To stop this happening it made strenuous attempts to build up its economy. On 12th March, 1947, Harry S. Truman, announced details to Congress of what eventually became known as the Truman Doctrine. In his speech he pledged American support for "free peoples who are resisting attempted subjugation by armed minorities or by outside pressures". Three months later George C. Marshall, Truman's Secretary of State, announced details of what became known as the Marshall Plan. Marshall offered American financial aid for a programme of European economic recovery. At the beginning of 1948 Berlin's three western zones were merged to form a single zone. With the help of the Marshall Plan West Berlin became very prosperous. This was in direct contrast to East Berlin that was still being drained of resources by the Soviet Union. Joseph Stalin became increasingly concerned about the developments in West Berlin. Embarrassed by the contrast between the prosperity of West Berlin and the poverty of East Berlin, Stalin decided to take action. On 1st April 1948, the Soviet military government in Berlin began to a land blockade of the allied areas of the city by refusing to permit American and British supply trains to pass through the zone. 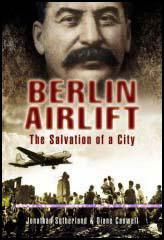 It seemed that Stalin's main objective was to force the western allies to leave West Berlin. Over the next ten months an estimated 2,245,315 tons of supplies were airlifted to the blockaded city. 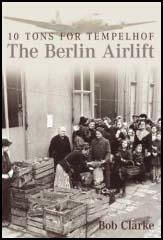 This enabled the allies to provide enough food and fuel to the 2.5 million people living in West Berlin. On the 12th May 1949 Stalin admitted defeat and lifted the blockade. It would not be fair to be over-critical, particularly when such a fine rescue operation for Berlin was mounted by the Western Powers. Maybe there were delays.... I would prefer to stress the positive aspects of the Blockade. First, it was a heroic episode in which the Allied pilots and the Berliners played the main roles. Then it brought about a feeling of real co-operation between the Berliners and the Allies. Those were grey, grim days; but our people showed their steadfastness, their courage, their dry humour and their basic decency.